There is no "May the Fourth" without the following day: Revenge of the Fifth! The Star Wars universe has numerous noteworthy heroes, but it also has excellent villains--most of them being the Sith. 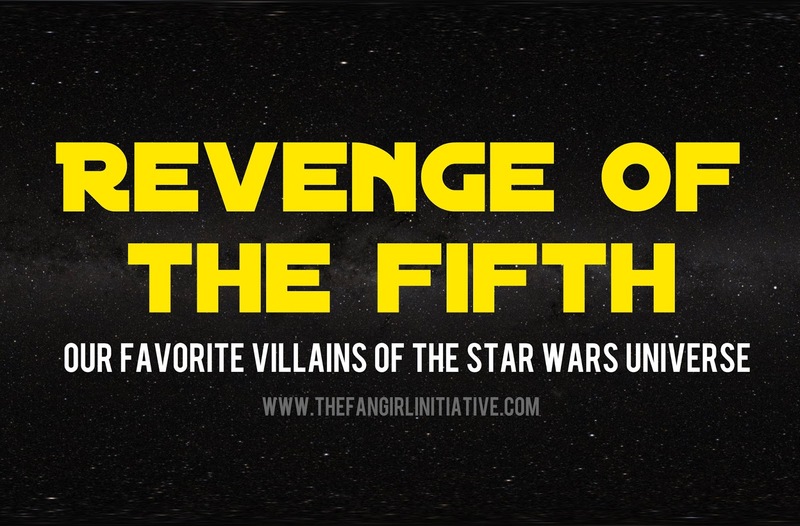 So in honor of our two-day Star Wars celebration, here are our favorite villains of Star Wars! Kylo Ren is without a doubt the scariest Star Wars villain in my mind. I say this because Kylo Ren is unpredictable. Anyone and anything could be the victims of his tantrums. He isn't afraid to deeply hurt other people to satisfy is obsession with following in Darth Vader's footprints. For those who play the MMORPG Star Wars: The Old Republic and choose to play either of the Sith classes, you will undoubtedly meet the fearsome figure at the head of the Empire’s Sith Dark Council: Darth Marr. For the Sith Warriors, you begin as the apprentice of a Sith Lord named Darth Baras, and as you become more and more powerful, Baras turns on you and attempts to destroy you. You survive and face down Baras in the chambers of the Dark Council, and when Baras tries to win his fellow Dark Council-members to his side, Marr unexpectedly interferes—stating that you should be given a fighting chance. 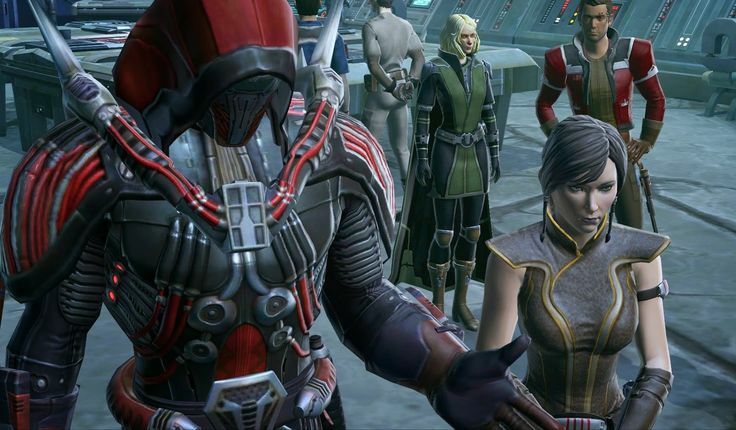 After an epic battle, you are able to strike down your traitorous master, and Marr commends you for your bravery and your determination, recognizing you in your new position as the Wrath of the Emperor. Later, when the Emperor prepares to enact a Sith ritual that will destroy the entire known galaxy to endow him with even more dark power, Marr bridges millennia of Sith and Jedi fighting to form a temporary alliance with his Republic counterpart, Jedi Grand Master Satele Shan. 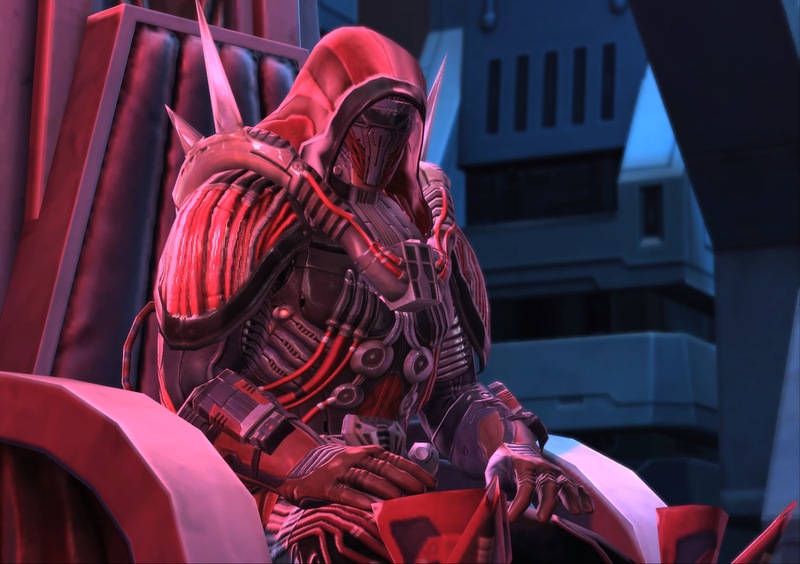 Marr is arguably my favourite Sith-side character from Star Wars: The Old Republic. True, he is the formidable leader of the Empire’s military forces and the head of the Dark Council, but he doesn’t subscribe to the usual Sith principles of hate and fury. He seems to value honour and cold hard reason above all things. Although—I have to say—I might be a little biased, since he won me over when he interceded and allowed my character to have a chance to duel my treacherous master. He is a character that follows the grand tradition of honourable Sith laid down by Darth Vader. In other words…the man is just plain cool. Noble. Logical. Dauntless Imperial leader. Dreaded Sith Lord. It's pretty much impossible to write about favorite Star Wars villains without talking about Darth Vader. There's a reason his character is so iconic. His mask, his tall stature, his booming voice, his cold and cruel nature, they all play a part in making Darth Vader one of the greatest villains of cinematic history. As a kid, I daydreamed of wearing a fancy black cape and black boots to stomp around in. (I even have picture proof of me doing such things.) While Darth Vader was the bad guy, I still admired him. He was strong, he was smart, and he held power in his grasp. To this day, I still love Darth Vader. But why do I love Darth Vader? I like Darth Vader for his story. I like what his story has to say about redemption and the good inside of people. At the beginning, Darth Vader did a lot of terrible things. (Like killing younglings and wiping out the Jedi.) He traveled the galaxy, laying down the law with a powerful grip. But there were still remnants of the little boy who grew up on Tatooine. Little Ani who wanted to fly across the galaxy and be the first one to see all the stars. Anakin who wanted to achieve great things and save the people he loved. As Darth Vader, he did that--but in a very twisted manner. Not as a hero but as a villain. As Luke said, "There is still good in him." And there was. He may have been a cold, calculating villain to blow up planets and strike down his mentor and brother figure. But a good villain isn't wholly evil; he still has something inside of him to make him human. Darth Vader had something human--he had a heart still. Everything he did at the beginning was to save the ones he loved. The Dark Side twisted that inside of him, manipulated him into his atrocious actions, but there was still light in him. And he proved that when he saved Luke instead of his so-called mentor, Emperor Palpatine. At the end, he made a choice to redeem himself and save the galaxy, just like the little boy on Tatooine daydreamed about doing. He embraced the inkling of light inside of him. Darth Vader, despite his actions (no, I'm not justifying them), gives me hope. No matter what a person does, there is a chance at redemption. No matter what. One of the first Star Wars movies I saw was The Phantom Menace, so it's no surprise that Darth Maul sticks out in my mind as one of the most iconic Star Wars villains. Even before I had seen the movie, his terrifying presence graced the cover of The Phantom Menace, and I remember being intrigued by him. When I saw the movie, Darth Maul quickly went to my list of scariest-things-I'd-ever-seen-at-the-tender-age-of-nine. But at the same time, I was also excited by what he brought to the movie. His double-sided lightsaber is enviable, and his makeup is one of the best, scariest representations of an alien-ish creature I've ever seen. Even though he killed one of my favorite characters, I'll still forever remember Darth Maul as the zenith of what it means to be a Sith. Who is your favorite villain of the Star Wars universe?